to receive a ten percent discount. Awesome designs inspired by skulls, tattoos and all things alternative! 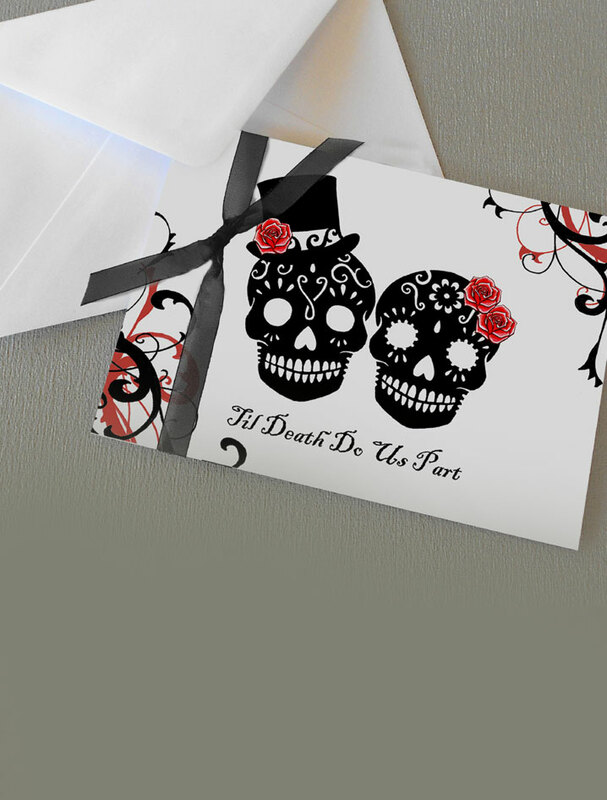 From gothic greetings cards to rockabilly weddings, celebrate your style and make every event as unique as you are. "Ideal for unusual name cards. Look very decorative on wine glasses. My musician husband loved them for his party. Good quality . Arrived very promptly . Well packaged." "Fantastic customer service and wonderful products!! We ordered table numbers but asked to change them to names which was no problem. Also all table plans and place cards!! Can't wait to see them all in place for our wedding in March 2018....they are all going to look fabulous. Extremely happy customers!!" "Great card, such a unique design. It was shipped quickly, was beautifully made and very well received, Thank you."